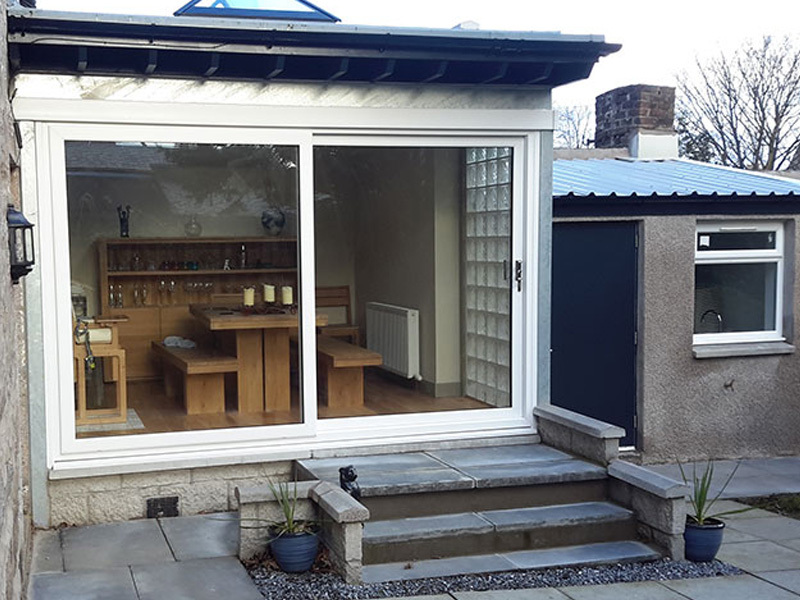 A well proportioned extension, with a sleek design featuring sliding doors, a glass brick wall and a large skylight, giving a warm open feeling to the kitchen and dining area. 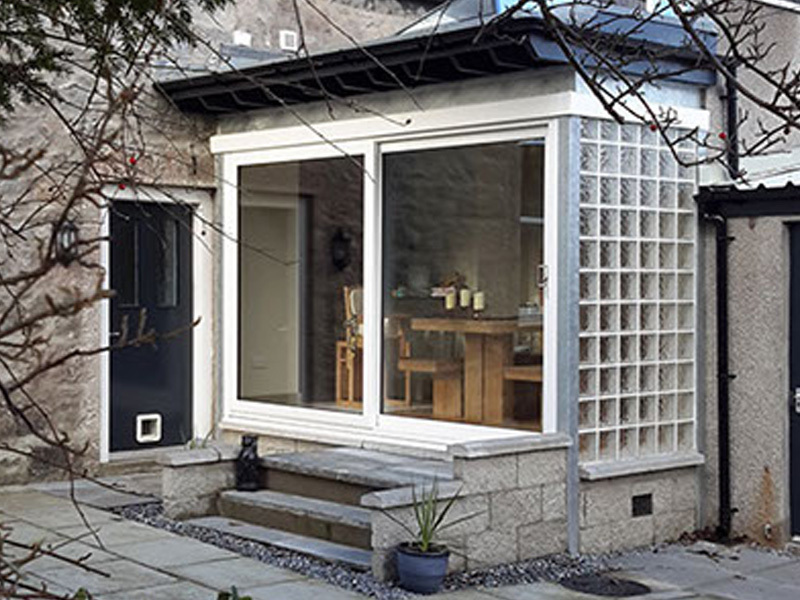 The overhaul of existing out building beyond the extension provides much needed space and storage. 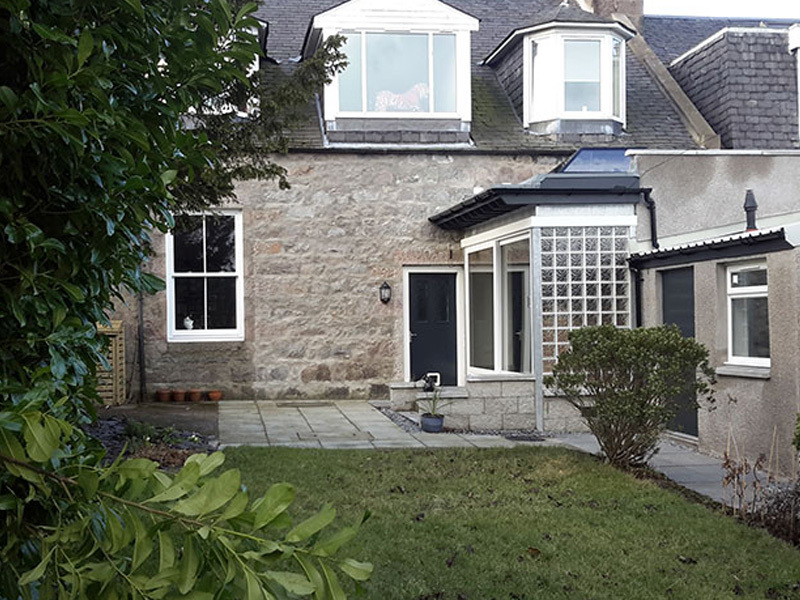 The garden has benefited from a new patio area and a walkway, down the long terrace house garden.